You may have seen posts on this ‘Mystery Blogger Award’ popping up in your feed; it’s basically an awesome shout out and works like this – a blogger nominates a number of their favourite bloggers and asks them to answer some questions they pose. In doing so, the recipient must then nominate some fellow bloggers and pay the Award forward. 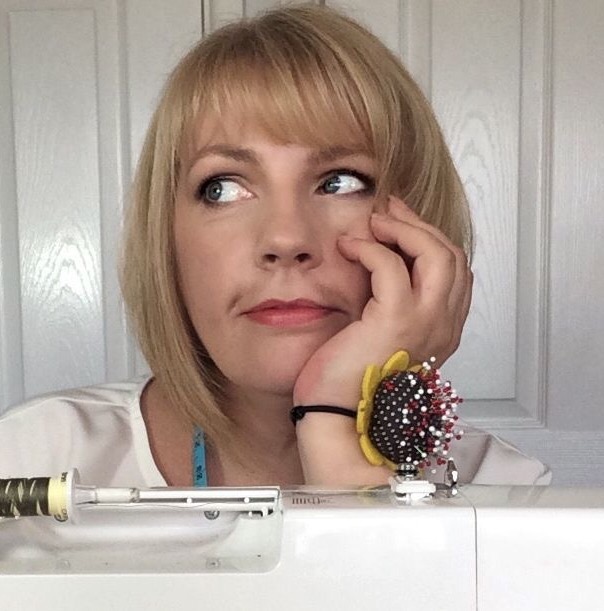 I was nominated by some pretty awesome sewing bloggers who asked some really interesting questions! An opportunity to thank them and pay the award forward, as well as answering their questions, meant no way could I pass this one by! So, what is the award exactly? Firstly, I was nominated by the titian haired goddess that is Sue (A Colourful Canvas). I adore her blog, she’s an engaging writer and always has something interesting to say, and show, with her fabulous creations. Apologies for the interruption in blogging, diary style, the making of my Deer & Doe ‘Luzerne’ Trench Coat…the trouble with blogging a make in ‘real time’ is that sometimes real life stuff unexpectedly intervenes! Long story short…my daughter spent a worrying few days in hospital. All is now well, thank goodness (and thank you to everyone who sent well wishes our way over on Instagram; that was very kind and really appreciated). I’m breathing easy again (just with more grey hair than before! ), so it’s back to documenting sewing this thing! Having previously cut the coat out and interfaced the relevant pieces, I salvaged a decent sized scrap to practice doing a bound buttonhole following the method given in Deer & Doe’s accompanying blog tutorial. I had some very good advice given on my last post when it came to the bound buttonholes from two of my favourite fellow bloggers – Firstly, Lynne (of Ozzy Blackbeard) highly recommended checking out Karen of ‘Did You Make That’ Bound Buttonhole e-Book (which is currently unavailable whilst being reformatted. Karen has very kindly offered to send me a copy of the original … but I ploughed on before having the benefit of her skill and tips!) And both Lynne and KS Sews (Dressmaking Debacles) recommended simply doing a machine buttonhole in the facings, which is definitely worth considering next time. But as a starter, I wanted to crack on and give them a go as drafted. July 12, 2018 .Reading time 9 minutes. Thank you for joining me again in my quest to sew the Deer & Doe Luzerne Trench Coat (if you want to catch up on Day 1, you can read it here). Today I’m covering pattern alterations, cutting out and clueing up on bound buttonholes! July 10, 2018 .Reading time 12 minutes.